Originally, I used libGDX as an OpenGL binding for Android during Android 2.2 (Frozen Yoghurt, or FroYo) years, because I wanted to target Android 2.2 devices (still the most common back then), however Google seemed to have forgotten to add Java bindings for OpenGL 2.0 glDrawElements() and glVertexAttribPointer(), which are some crucial functions. You had to either use the NDK and C++ to use OpenGL 2.0 properly, or create your own Java bindings via JNI. libGDX did exactly that, and so I originally used it for just that (still do, I don’t use any of the higher level graphics stuff such as model loading or camera handling that libGDX provides). Now, having also a desktop build for development and debugging, I was thinking that it would be nice to have a working Windows build with multitouch (which has been in Windows since Windows 7). 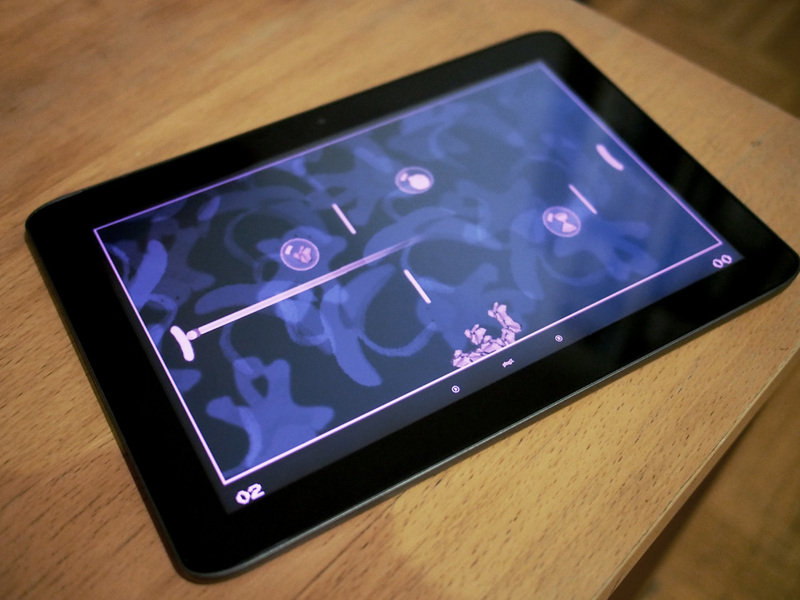 Some of those larger Windows tablets, such as the Samsung Series 7 slate I had back then, or the Surface tablets, or the gadzillion Windows 8 tablets that seem to be popping up recently, would be nice devices to actually play pingK in “hotseat” 2-player mode. That requires multitouch support though, which libGDX does not offer for desktop builds. So I had to add that, and here’s – after a long introduction – how I did it. The first step was to interface the Windows API with Java. For that, you essentially use JNI (Java Native Interface). I won’t explain in detail here how to do that as there are plenty of resources on the web that explain exactly how to set up a simple JNI DLL. What I am focusing on is how to hook Windows WM_TOUCH messages in a way that they can be processed from within the libGDX app. initTouch(hwnd);    // Call into JNI DLL function! Essentially I do some reflection magic on LWJGL’s Display implementation (libGDX uses LWJGL for its desktop OpenGL handling) to retrieve the Windows HWND, and send that to the DLL via initTouch(). Strictly speaking I am pretty much violating the code by making private members accessible, but all other methods seemed not robust enough (like getting the HWND via window title string). to first subclass the window (i.e. register an alternative window procedure), and finally, to register the main game window as “multitouch-handling” so that WM_TOUCH messages will be sent to this window. This WindowsTouchInfo instance gets the information from the touch event, and gets passed to another Java function from C++. On my Java framework side, I have an input wrapper between the actual game code and libGDX that accepts these WindowsTouchInfo instances and processes them. This is just a quick summary of the steps necessary to get multitouch working for libGDX desktop builds. Note that the result of this is a Windows 7/8 desktop build (that also runs on older Windows versions, it just doesn’t support multitouch there), not a Windows Store app. At the time of writing, libGDX does not support creating Windows Store apps (or Windows Phone 8 apps) yet. Next Next post: I am going to Taiwan for a year!